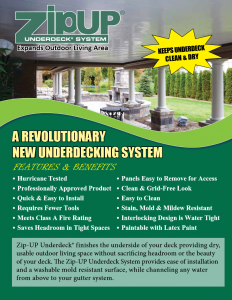 AN AFFORDABLE, ONE OF A KIND, CEILING & UNDERDECK SYSTEM. 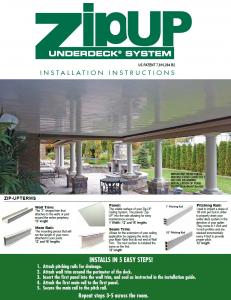 Uniquely designed with simplicity in mind, Zip-Up Ceiling & UnderDeck Systems are the perfect solution for increasing enjoyable indoor and outdoor living space. 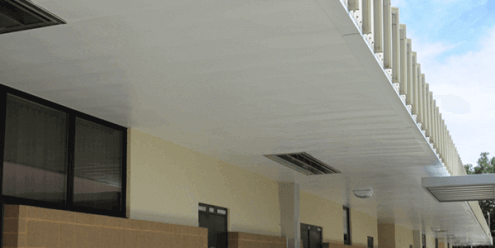 Is the first ceiling product of its kind that has addressed what consumers want out of a ceiling system; aesthetics partnered with functionality. 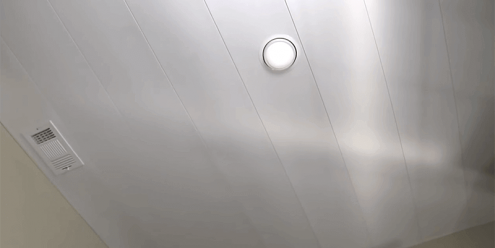 This is a grid free ceiling made from PVC that saves headroom, has unprecedented access to plumbing and wiring, as well as boasting an impervious to water and moisture warranty. 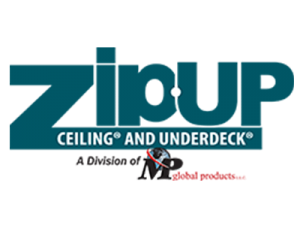 Plus, Zip-Up Ceiling will not mold or mildew. Adaptable to a wide variety of mounting configurations! Can be retrofitted to an existing ceiling system. Intended for interior use. Finish the underside of your deck by providing dry, usable outdoor living space without sacrificing headroom or the beauty of your deck. 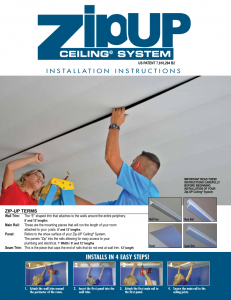 The Zip-Up UnderDeck System provides ease of installation and a washable mold resistant surface, while channeling any water from above to your gutter system. A great upgrade for your porch or deck! Intended for exterior use.